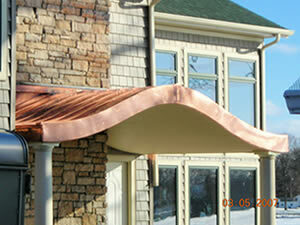 At Slatile Roofing and Sheet Metal Company we take great pride in being your sheet metal solution. Fill out this quick form to receive more information on our sheet metal services. We have our own sheet metal shop with the ability to fabricate any architectural sheet metal item. This allows us to handle all of your sheet metal needs with quality care and exact precision. Our sheet metal shop includes a 10’ computer programmable press brake for precise and consistent sheet metal profiles. We also have a 10’ Niagara Sheer for exact cutting of the sheet metal. Our capability to submit your sheet metal items into a CAD drawing program gives you the opportunity to approve each piece before it is manufactured. We follow the guidelines of the SMACNA (Sheet Metal and Air Conditioning Contractors National Association) manual.